There are 7,641 islands in the Philippines with Luzon being the archipelago’s biggest island and home to the Keeping it High World Qualifying Series race. On April 14 - 16 the race leads the tour from Australia’s Newtons to the remaining Asia series of races. Luzon Skateboard Racing and the IDF Asian Represent Carl Sambrano are hosting an event that you will not want to miss. 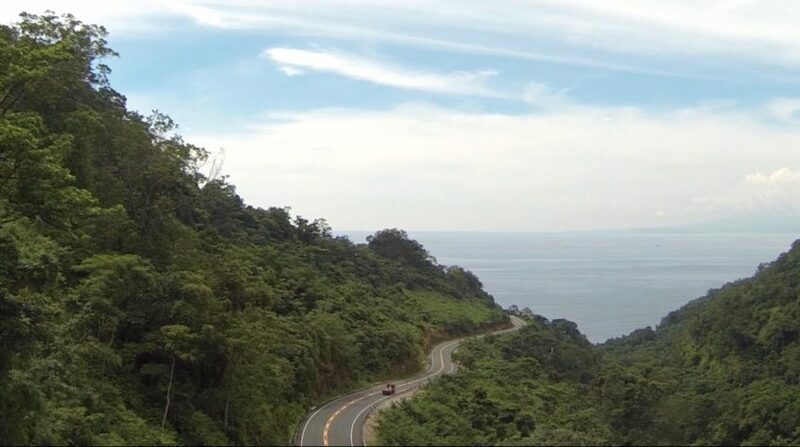 The track is located on the beautiful mountainside of Maragondon (Cavite) overlooking the island studded Manilla Bay. The road takes you down 1.7km of cliffside with an initial grade of 13% sending riders into the big left turn nicknamed ‘Ohmega Hairpin’. The wide and fast corner leads into the second part of the course which winds down to the finish line, just a few steps away from the West Philippines Sea. 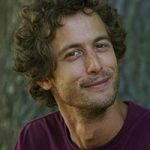 If you’re not convinced, check out the video below. The event will have timed qualifying proceeded by a Top 10 Shootout to end the qualifying day. Accommodations include either a beachside resort or a camping area next to the river - in our opinion you can’t go wrong with either. Keeping it High race track. 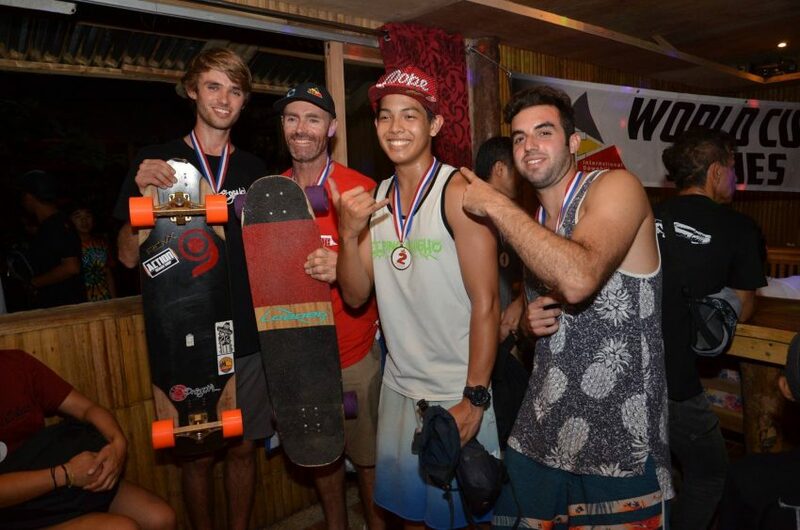 To get a better idea of what to expect from a race in the Philippines, we sat down to have a quick interview with Benjamin ‘Benbro’ Hay, the winner of Open and Masters of last year’s WQS Karera sa Lumban, and give you some insight on the event. Yo Benbro! Thanks for chatting. Are you ready to lead again in the Philippines? Hopefully!! There are more internationals coming this year as well as the top Asian riders,they will all want it so it won't be easy! But it's the type of hill I like to race so I can't wait. How would you describe the track for this year’s race? This year the Luzon WQS is on a different hill than last year so I have only seen footage of the new location but it is faster but very similar with grip and sticking good lines and drafting tactics on the typical Luzon butter pavement. Last years track was really fun and great for racing, the pavement was very smooth and allowed you to concentrate on being perfect with your technique and gave maximum traction allowing riders to really push hard into the turns. The Luzon racetracks provide many passing opportunities and close tight racing at speeds over 95 kph. What motivates you to keep coming back to the Philippines and why do you think riders should attend this year’s WQS event? The main reason I go to events in the Phillippines is because I enjoy the culture and the positive vibes and stoke that surrounds the events, I have many good friends there and enjoy making a holiday of the events each year. It is also a tropical paradise not too far from Australia and flights and general travel costs are very inexpensive. I would definitely encourage skaters to visit due to the same reasons that I enjoy and the local scene is really welcoming and look after traveling skaters like family. 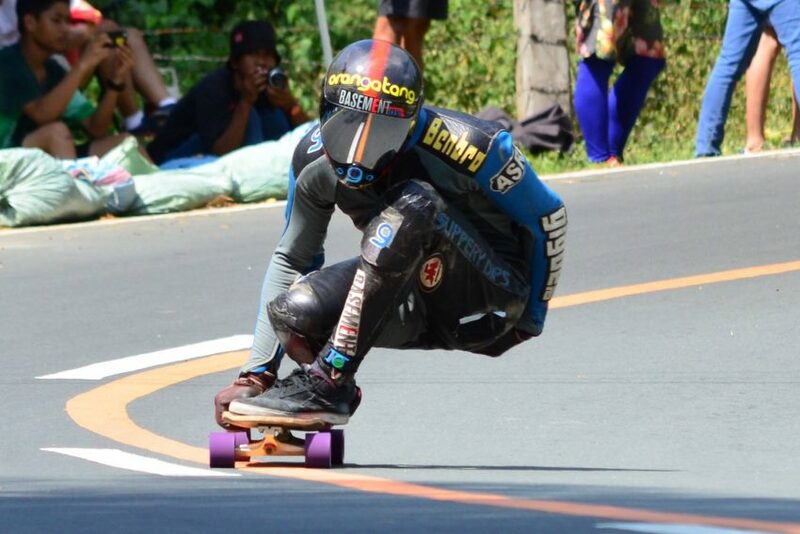 We expect a solid crew of riders from the emerging Luzon scene and across the Philippines racing on their home turf. We’ll likely see local national champion Jaime de Lange along with young gun Tom Romualdez racing hard for the top spots. In addition, 3x World Champion in luge, Abdil Mahdzan, will be attending from Malaysia and is always a top contender in luge. We would like to thank again the Luzon Skateboard Racing Association for their efforts in organizing the event and keeping the Philippine scene thriving. With 23 events around the island of Luzon in the last 3 years the community is one of the largest emerging scenes in Asia and we’re excited to include them in the world circuit. We hope to see you there!